Bill Crider, who knows Harry Whittington's work a lot better than I do, calls A Night for Screaming "probably my favorite" of Whittington's novels. He doesn't call it the best, though, which is good, because I read it and Whittington A Ticket to Hell this week, and I thought the latter a much stronger book. "He winced, turning his head quickly as if he was afraid I’d see the sickness in his face." "There was a sickness in his face." "Evans grinned at me, even through the gray sickness in his own face." "I paced the floor in my room. The sickness was worse than ever." "I felt nothing except the sickness, the emptiness." "I brought the gun up, held it where he could see it. His face showed his sickness." "You have to see these rich, young, small-town dames to know what she was really like. They might have come out of a family of migrant workers subsistence farmers , or maybe the bankers’ home. They went to school in these small burgs, growing into something so lush, so luscious that every woman hated them and every man coveted them. They had everything they could ever want long before they were ripe. It made them hard and demanding, and looking for the big take. They had love when they were thirteen, and now they wanted everything their beauty would buy. And when they got their hooks in the richest man in the area, they truly began to live. Shopping trips west to Denver, east to Kansas City and St. Louis, and at least twice a year into New York and Chicago to see the shows. They believed their beauty indestructible, the fun was going to last forever. Only it didn’t work that way. The oldest saw was the truest: when you’ve seen one circus, you’ve seen them all." The novel reads as if Whittington wrote a intricately plotted first draft, polished the first chapter, then submitted the manuscript. I noticed no such thinness of description in Whittington's A Ticket to Hell. 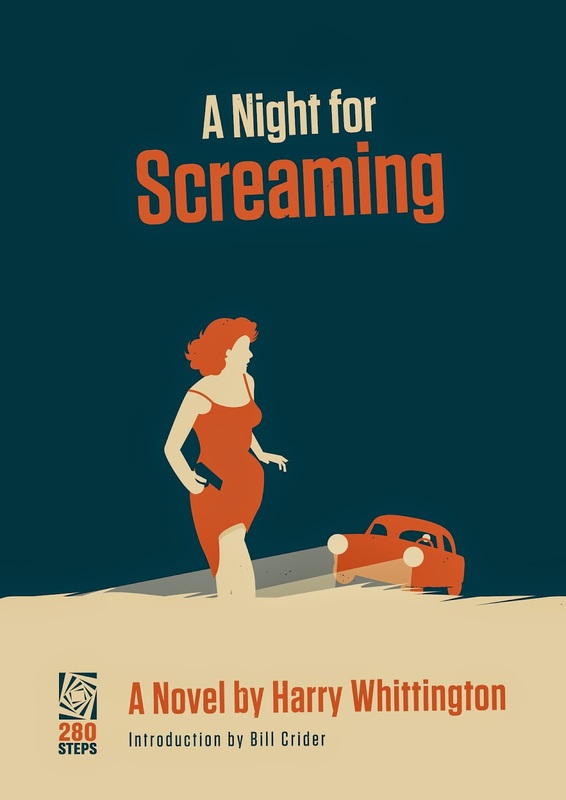 That novel appeared in 1959 from Gold Medal; A Night for Screaming appeared the next year from Ace. Could the change in publishers have something to do with the change in style? Comments from Whittingtonians and other readers of paperback originals welcome. In the meantime, watch Bill Crider's slide show of Whittington covers. Fires that Destroy is another strong Gold Medal novel by Whittington. Thanks. You and Cullen Gallagher will be my sources for Whittington. I'll want to keep an eye out for Whittington's range, which may mean I'll take a look at his Westerns and his sleaze books, too. Bill, did Whittington's Gold Medal books tend to be better than the ones published by Ace? Your critique of Whitttington's use of the same word over and over reminded me of the review of Fifty Shades of Gray by Katrina Passick Lumsden. She was so bored that she did a word count. It may be better than the movie. Ha! I would not insult Whittington's memory by placing him that low. As far as I can tell, he was a hell of a writer who I'm guessing was ill-served in this case by the haste with which he had to work. All the sickness (and all the times the narrator tells us his stomach was clenched or tightened or tied in knots or weak or empty) don't make A Night For Screaming a Bad book. But they may be the more frustrating for that, because they detract from all the suspense and from good descriptions such at the paragraph I included in the post.